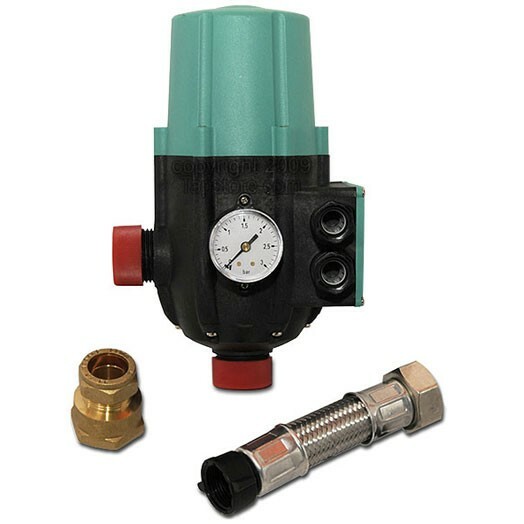 Salamander positive head pumps require a natural flow of 1 litre per minute to activate the pump. Very low head pressure or negative head systems (where the outlet is below or level with the cold water storage tank) will not be able to acheive this and a negative head kit will be required. The RCM3 is designed for pumps with closed head pressure (CHP) of 1.20-2.1bar and where the static head to the pump does not exceed 10ft. Recieved in good time, product damaged on arival, Guage glass broke and loose pipe olive squashed and unusable. We are sorry that you received the ordered item in a damaged state. we can of course collected this and send a replacement or issue a refund. I will send you an email with details on how this can be done.